Helm was born in Marvell, Arkansas and began playing the guitar at the age of eight. Helm also played drums during his formative years and established his first band The Jungle Bush Beaters while in high school. He was influenced by the Grand Ole Opry and by R&B songs that he heard on radio station WLAC out of Nashville, Tennessee. Helm became interested in rock and roll after attending an Elvis Presley concert. He moved from Arkansas to Memphis, Tennessee where he was influenced by Bo Diddley and Conway Twitty. At age 17 he was invited to join The Hawks, backing rockabilly singer Ronnie Hawkins. Soon after Helm joined The Hawks, they moved to Toronto where, in 1959, they signed with Roulette Records and released several singles, including a few hits. In the early 1960s Helm and Hawkins recruited an all-Canadian lineup of musicians: guitarist Robbie Robertson, bassist Rick Danko, pianist Richard Manuel and organist Garth Hudson. In 1963, the band parted ways with Hawkins and started touring under the name Levon and The Hawks and later to the Canadian Squires before finally changing back to The Hawks. They recorded two singles, but found little success. By the mid 1960s, Bob Dylan was interested in performing electric rock music, and asked The Hawks to be his backing band. Disheartened by fans' negative response to Dylan's new sound, Helm returned to Arkansas for what turned out to be a two-year layoff, being replaced by Mickey Jones. During his absence, The Hawks had taken up residence in Woodstock, New York and began writing their own songs; Danko and Manuel also shared writing credits with Dylan on a few songs. Here they recorded a large volume of demo tapes, many with fellow Woodstock resident Dylan (who had completely withdrawn from public life the previous year). These recordings were widely bootlegged, and the best tracks were officially released only in 1975 as The Basement Tapes double album. The songs and themes developed during this period played a crucial role in the group's future direction and style. In 1967 Helm returned to the group, which by then was christened simply as The Band. They recorded Music From Big Pink, which catapulted them into stardom. On Big Pink, Manuel was the most prominent vocalist and Helm sang mainly backup, with the outstanding exception of "The Weight," but as Manuel's health deteriorated and Robertson's songwriting increasingly looked south for influence and direction, subsequent albums relied more and more on Helm's growling but eerily plaintive vocals (alone or in harmony with Danko), both enriched by and anchored in lush Southern texture. Singing lead, Helm brought out common elements in folk and blues vocal styles, often assuming the character of a kind of mythical Southern everyman, who witnesses bewildering events and reacts to them with wonder and rage. 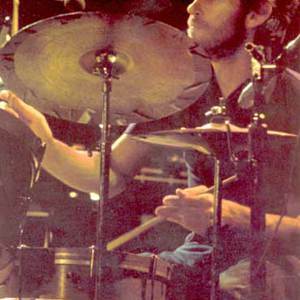 Helm played drums for perhaps 85% of The Band's songs, including most of those for which he sang lead. But the entire group was multi-instrumental, and often Helm would be found performing on mandolin or 12-string rhythm guitar when Manuel played drums, and bass when Danko played fiddle. Helm remained with The Band until their 1976 farewell performance, The Last Waltz, which was recorded in a documentary film by Martin Scorsese. Although many now know Helm through his appearance in the concert film ? a performance remarkable for the fact that Helm's vocal tracks appear substantially as he sang them during a grueling concert ? he repudiated his involvement with the film shortly after the final scenes were shot and, in his autobiography, offers scathing criticisms of the film and of his former bandmate, Robertson, who produced the film. With the breakup of The Band in its original form, Helm began working on a solo album Levon Helm & the RCO All-Stars, which was followed soon thereafter by Levon Helm. He recorded solo albums in 1980 and 1982 entitled American Son and (once again) Levon Helm. Helm also participated in Paul Kennerley's 1980 country music concept album, The Legend of Jesse James, singing the role of Jesse James alongside Johnny Cash, Emmylou Harris and Albert Lee. In 1983, The Band reunited without Robbie Robertson, but then Manuel committed suicide while on tour in 1986. Helm, Danko and Hudson continued in The Band, releasing the album Jericho in 1993 and High On The Hog in 1996. The final album from The Band was the 30th anniversary album, Jubilation, released in 1998. His most recent solo albums, Dirt Farmer, was released in 2007 to favorable reviews and followed in 2009 with an album entitled "Electric Dirt", which included a cover of the Grateful Dead song Tennessee Jed. Helm was diagnosed with throat cancer in 1998. On April 19, 2012, Helm died of throat cancer complications in New York City.